Please! I beg of you! 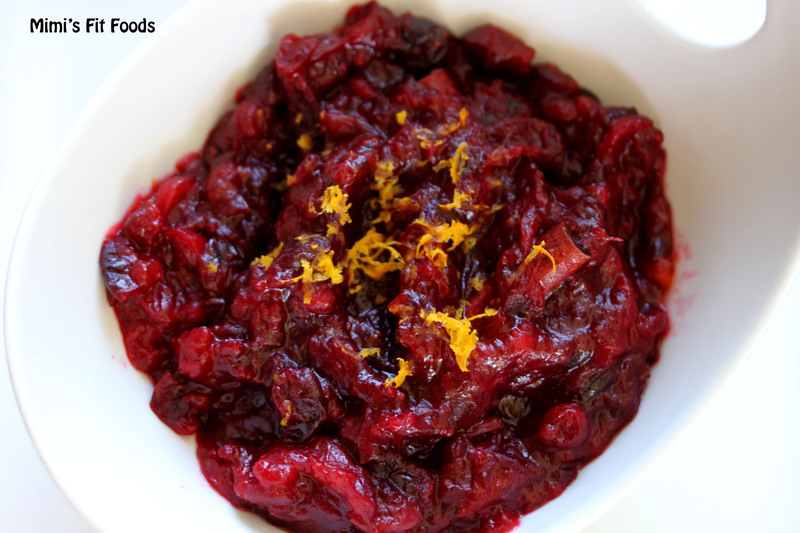 If you don’t already make your own cranberry sauce, start NOW. It’s the easiest to make in the whole wide world and it tastes so fresh and flavorful that you will kick yourself for not making it sooner. Besides, then you know EXACTLY what’s in it, there’s no preservatives from the canned stuff, and well, it’s simply delicious! It’s so easy to make because all you do it throw fresh cranberries in a saucepan, add water or juice, a little bit of sugar, and then you just simmer it until it thickens. Easy peasy! This is my most favorite version of cranberry sauce. I LOVE the addition of orange and I have yet to find someone who doesn’t (however, if you are totally against the idea of adding orange . . . just substitute water in place of the juice). The orange juice and zest allow us to use less sugar, but then it also elevates the flavor. Win-Win! I love to throw a cinnamon stick in the pan while it simmers. You can’t REALLY taste much cinnamon flavor, but there is a slight hint. Maybe I mostly just like the fact that it makes me feel super festive. I admit it; I love the holidays and the smells of the holidays are DEFINITELY part of the love! And, so is this delicious cranberry sauce. I don’t let the holidays ever go by without it. I seriously don’t think you should either! 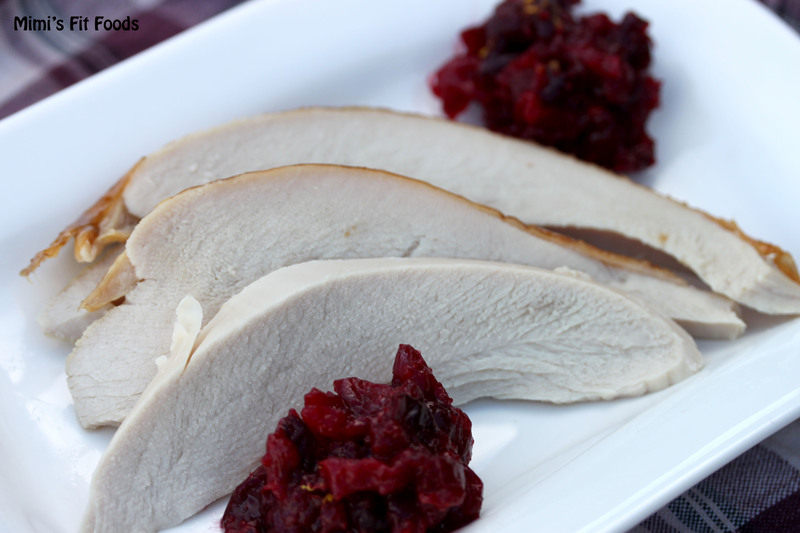 In fact, may you should pair it with this super delicious turkey! That’s what I did. Put all the ingredients into a saucepan over medium heat and simmer until the cranberries burst and the sauce thickens, about 15 to 20 minutes. Serve at room temperature or cool and refrigerate. Remove the cinnamon stick & orange slices before serving. Makes just over 1 cup of sauce.